Home The NewsMill Breaking Pakistan was a surgical strike by Congress: Karan Singh. Breaking Pakistan was a surgical strike by Congress: Karan Singh. 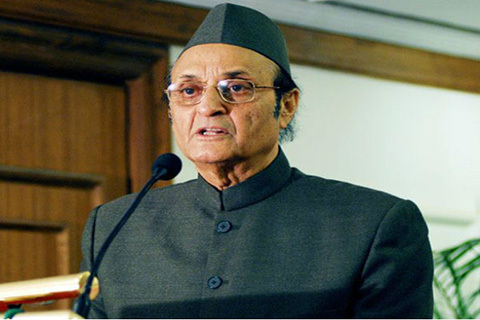 The first sadr-e-riyasat of Jammu and Kashmir and veteran Congress leader Karan Singh said on Tuesday that breaking Pakistan into two was one of several surgical strikes conducted by Congress governments in the past. “They (BJP) project themselves only nationalists on earth but had to go a long way to match the Congress’ nationalistic credentials. They say Congress had done nothing but they need to revisit history and read about strikes in Congress-led governments,” Singh said while campaign for his son Vikramaditya Singh, who is contesting on Congress mandate from Udhampur-Doda-Kathua seat, which he had represented earlier. He added that the election is meant for electing a deserving candidate who will represent the constituency in the parliament.“They (BJP) will come to you and sell many dreams. They drag armed forces into politics to gain emotional support but you have to understand that contest is not between Vikramaditya Singh and Narendra Modi,” Karan Singh said. Previous articleS Korea to launch worlds first national 5G networks. Next articleFully prepared to meet challenge of ceasefire violations: BSF DG.